Should you go traditional or embrace online marketing? How do you get the most bang for your buck? Online marketing Calgary has advantages over traditional approaches, but that doesn’t mean traditional approaches should be ignored. 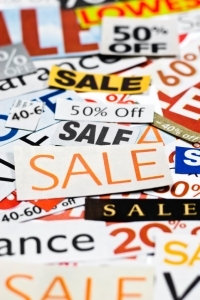 Coupons, brochures, and even business cards can still be effective for certain types of businesses. As much a part of our lives as the Internet has become, there are still plenty of people who respond positively to these methods of reaching potential customers. Your company is unique, so why would you take a cookie cutter approach to marketing? If the majority of your business is direct sales, and networking plays an important role, then it makes perfect sense to offer potential customers something physical like a brochure or a free product sample to remember you by. But that doesn’t mean you don’t need a strong online presence. Every business needs a strong social media presence and a website that is a worthwhile source of valuable information. On the flip side, if most of your sales come through your website now, then it makes perfect sense to focus your efforts online. But that doesn’t mean you shouldn’t have business cards or send out handwritten thank you notes to remind your customers that you value their business. Take the time to analyze the demographics of your clientele. If a significant part of your customer base is under 30, then online marketing in Calgary, will be more important to you than if your customers relied primarily on more traditional media for news and information about the products that interest them most. There are many ways to reach customers over the Internet and these approaches are often surprisingly cost effective. Done right, you can save as much as 50 per cent over traditional methods. An email marketing campaign can replace many more costly printed materials like letters, flyers, coupons and brochures. It has proven results for driving customers to your door. Canada’s anti-spam legislation (CASL) has set new guidelines for emailing customers, but the team at Emphasize Design can help you design an effective campaign and keep people interested in your business. Whether your business is primarily in person or online, your website should be a central depository for all your business’ brochures, fact sheets, and eGuides or whitepapers. Not only will this save you money in the form of lower printing costs, but it will also help build customer loyalty because they will know they can always find what they’re looking for right at your site. Imagine the possibilities if you could have 24/7 customer service available right from your website. Live chat not only builds greater engagement and increases sales, it can give your business a competitive edge by providing better customer service at a lower cost. Online and traditional marketing are not mutually exclusive. In fact, they should be integrated into a recipe for success. Because your website is “always open”, your customers—whether they arrived there because of traditional or online advertising techniques—should be able to browse your products or familiarize themselves with your services. At Emphasize Design, we’ve got the tips you need to get the most from your online marketing in Calgary. Check out our free ebook that shows how you can generate more leads at a lower cost.